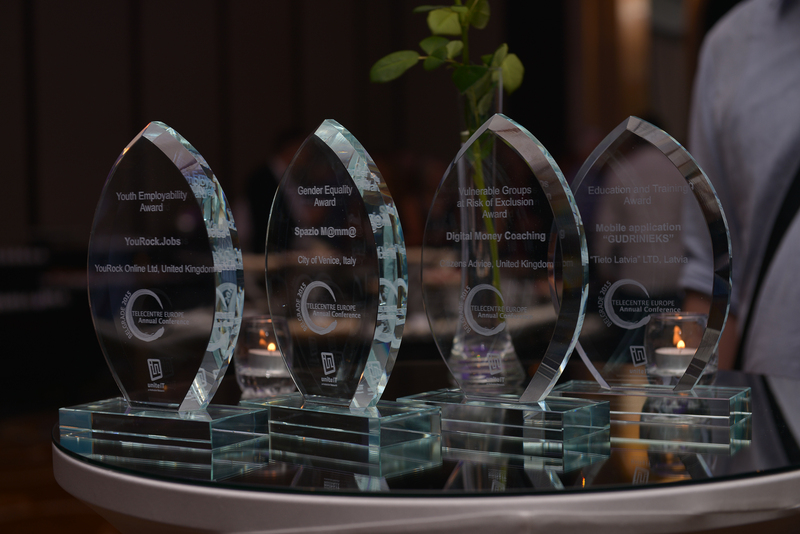 Telecentre Europe AISBL has established the Telecentre Europe Awards to recognise the achievements of individuals and organisations across Europe that enable people to get to grips with technology. Public voting took place on the Unite-IT website for its members during September 6-14 with ‘likes’ of entries. Voters needed to be registered members of Unite-IT and had to be logged in to be able to vote, i.e. to ‘like’ the entry. People could vote for ONE entry in each category. If they voted for more than one, their votes were disqualified. Follow the links above to see the full description, assessment criteria, eligible entries and finalists. Win a trip to Ghent! The three finalists in each category were invited to attend the Telecentre Europe Annual Conference organised in Ghent, Belgium, on 6-8th October 2016. All finalists are entitled to FREE accommodation (1 person for 2 nights). Award winners (one in each category) also have their travel expenses covered by Telecentre Europe. The Awards ceremony was held in Ghent, Belgium on the evening of the 7th October 2016 in the beautiful Ghent City Hall. All finalists received certificates; winners were awarded with trophies and gadget prizes and had an opportunity to present their initiatives to an audience of 120 participants. Learn about the Awards Ceremony and find out the finalists and winners of 2016 here. Entries were accepted from organisations and individuals who work in wider Europe (not limited to EU28) in the field of digital inclusion and employability. The winners in the two individual categories (Best E-Facilitator and Best Digital Changemaker) were selected directly by the public online voting. For the two organizational categories (Best Multi-Stakeholder Partnership and Best Practice), a jury assessed the nominations against a set of criteria and chose the best five. These selected five then entered the online voting. For two years Digital Inclusion awards were given out to organisations and individuals working in the field of digital inclusion to acknowledge their work. Good practices were collected on the Unite-IT e-inclusion network portal which is the focal point of information, news, resources, database of practices and policies in Europe with specific focus on ICT for inclusion and social cohesion. More about the award ceremony and the winning projects available on Unite-IT platform. Gender equality: Handmade and IT for women implemented by Pontus Euxinus Library in Navodari in Romania. Read more about the winners and their work in this blogpost.